Every good news story needs a good storyteller. Augustine Early, a crooked journalist, has made an art of clawing his way up the professional ladder. When he turns a prominent politician’s tawdry predilections into front page news, the scandal threatens to undo the one person he thought was immune - Augustine himself. A searing and hilarious new play about catching the perfect front-page headline, whatever the cost. Actor and director Campbell Scott (whose numerous film credits include The Secret Lives of Dentists and Roger Dodger, as well as the title role in Hamlet for the Huntington) performed a reading of this one-man show during the Huntington’s 2006 Breaking Ground Festival, before The Atheist premiered in both New York and London earlier this year. The Atheist is written by Huntington Playwriting Fellow Ronan Noone, whose play Brendan is also part of the Huntington’s 2007-2008 Season, and will be directed by Huntington Artistic Associate Justin Waldman. 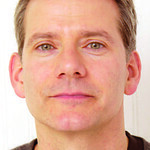 Campbell Scott previously directed The Second Girl (2015) at the Huntington. He has Huntington acting credits that include Ronan Noone’s The Atheist (2007) and Hamlet (1996). Other directing credits include Miss Julie (Williamstown Theatre Festival), Snakebit (Remains Theatre), and the films Company Retreat, Off The Map, Final, Hamlet (co-director), and Big Night (co-director). Justin Waldman is a former artistic associate of the Huntington, and producing artistic director of Next Stages, which he founded. Cristina Todesco designed the sets for The Who & the What (2017)Milk Like Sugar (2016(one of the three plays she designed in The Shirley, Vermont Play Festival), The Long and Winding Road (2009), and The Atheist (2007) for the Huntington. Recent designs include Chill (Merrimack Repertory Theatre), Hand to God (SpeakEasy Stage Company), Red Noses (Boston Conservatory at Berklee), and The Totalitarians (Gloucester Stage Company). Jessica Curtwright was the assistant costume designer for the Huntington on nine shows over three seasons, including August Wilson's Gem of the Ocean, the world premiere of Sonia Flew, and The Blue Demon. Ben Stanton designed Man in the Ring (2018), The Atheist (2007), Persephone (2007) and Love's Labour's Lost (2006) at the Huntington. 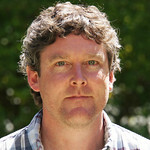 Alex Neumann previously designed sound for Ether Dome (2014), Bus Stop (2010), and The Athiest (2007) for the Huntington. On Broadway, he assisted on Next Fall with John Gromada and contributed to A Behanding in Spokane.